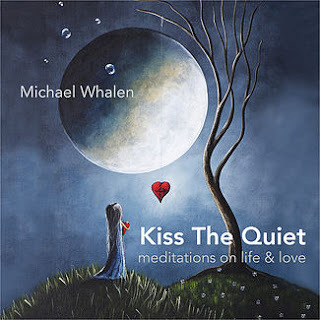 Kiss The Quiet is one of the best titles I have ever seen for an instrumental new age album. The title most certainly lives up to its name as well. Michael Whalen is the architect of this recording. 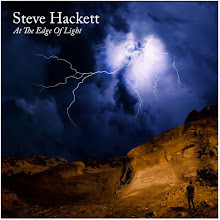 He uses ambient piano, synthesizers and electronics for a superb blend of atmospheric qualities and moods. Kiss The Quiet softly encourages you to listen and when you do it is all over, you are hooked. This is great music for meditation, focusing or just relaxing and emptying your mind. It is rhythmic and soulful, and not soulful in a musical sense but coming from deep down in the soul of the artist. This music emerges to touch you in many ways. I think people that have the gift and talent to create music like this are blessed. They are willing to share their blessing with us, the listeners, so we can heal, realign the chakras and feel whole once again. That is how I honestly feel about this music. It kisses your soul, with a touch of heaven added it has the ability to remove you from a physical body and lead you into another type of existence. I feel this way even without meditation, I enter a different realm and let my innermost thoughts arrive and translate it for you here in my reviews. That is a blessing I receive each time I have the opportunity to share my thoughts on music. You can call it the ether where thoughts come and go and are either processed or reflected upon. You can Kiss The Quiet and feel something different as you let the music envelope your heart and soul. You will be moved by this experience and it is one you will want to feel more than once, I can guarantee it. For this listener after taking in music like this for several years, I have come to know myself very well. It can work for any listener if you just calm the ongoing thoughts and let the music take over.